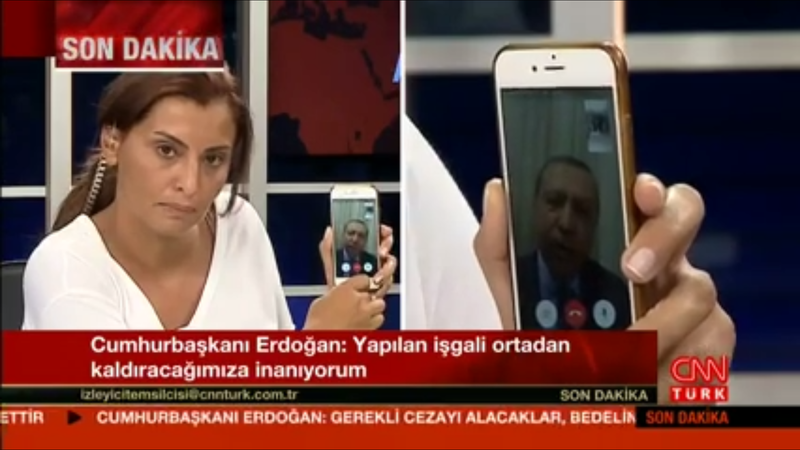 Turkish President Recep Tayyip Erdogan just gave an interview via FaceTime. The country is in chaos following a military coup that’s still ongoing. The military has declared martial law and is censoring the media networks but Erdogan was on CNN Turkey remotely with a broadcaster holding up her phone facing the cameras. Welcome to the 21st century. You can watch video of the interview on Facebook. What a strange time to be alive.